Some of the girls who attended the GIRL conference. 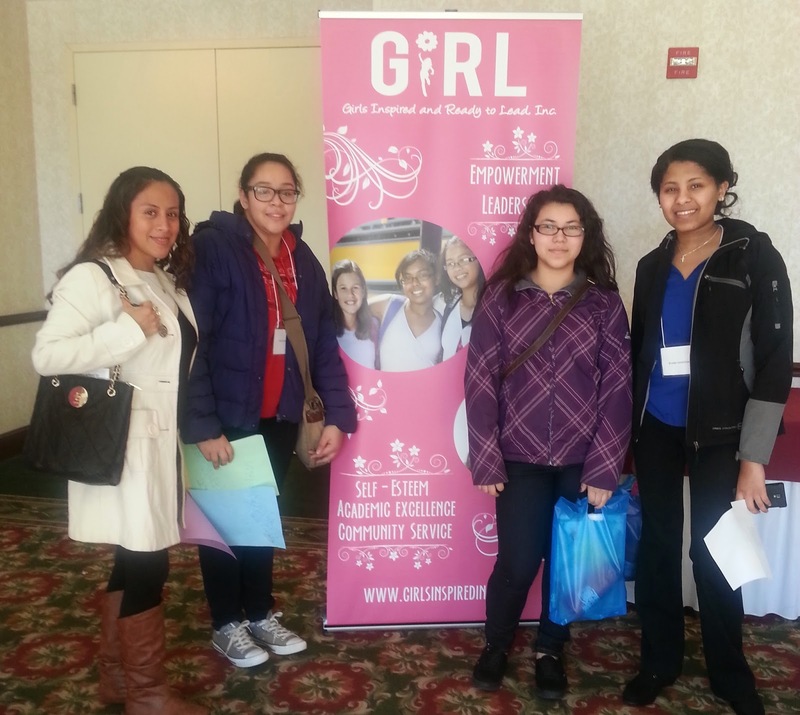 Eleven local teenage girls in middle and high school took part in a motivational workshop this month organized by GIRL (Girls Inspired and Ready to Lead) at the Fairfax Hilton Garden Inn. Danielle Blunt, the founder of GIRL, and the other panelists spoke about importance of empowerment, leadership, self-esteem, academic success, and community service. Blunt founded GIRL to help prepare and motivate minority girls for leadership and career success, and she also runs programs at the Wedgewood Community Center in Annandale. The girls learned about the skills they’ll need to pursue in-demand 21st century jobs in such areas as cyber security, entrepreneurship/business, hospitality, social media, forensic science, business intelligence, medicine, engineering, geospatial intelligence, law, government, and graphic design. The participants were recruited by Alejandra Caballero, a community developer with the Fairfax County Office of Neighborhood and Community Services, and Computer Clubhouse Managers Laylan Salih, of the Willston Multicultural Center in Seven Corners and Jill Turner of the Gum Springs Community Center in Alexandria.